Calls attention to the plight of single women who need affordable housing. Women Build is an empowering event for the participants who are building, and for the local single women who need affordable housing! Teams pick ONE build day 8:30 AM - 3:30 PM. Dates are filling up quickly! Dates Available: June 14th, 15th, 18th, 19th, 20th, and 21st. Looking for a future date that is not listed? Our Women Build events provide the opportunity for women to take a proactive step in helping other women improve their living situations. Our future homeowners are largely comprised of women and children whose living conditions may be unsafe, unhealthy, unaffordable, or over-crowded. 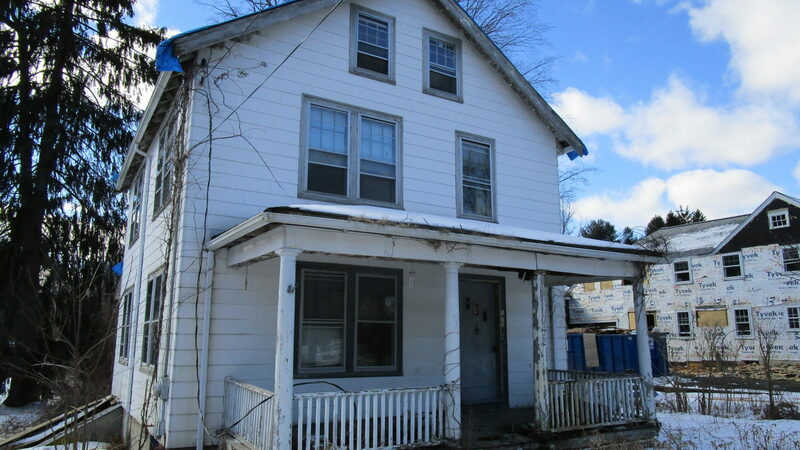 Help us renovate a 110-year-old home located at 172 Concord Street in Holliston. This 2 story, 3-bedroom single family home with 1 ½ baths is located on a .5 acre parcel and will provide an affordable home in a safe community for a local family. Your involvement makes a huge difference helping our homeowners achieve a more stable and secure life. NOT ABLE TO JOIN US FOR WOMEN BUILD 2019? You can still invest in the Women Build mission by clicking on Donate Now button below. Make sure to designate your donation for Women Build 2019! Your contribution helps give women and families the opportunity to achieve strength, stability, and self-reliance. Through shelter, we empower. We have staff and regular volunteers on site who will train and lead you in your build activities. We’ll provide all the tools you’ll need, but you are welcome to bring your own well marked tools if you’d like. To participate in Women Build we ask that you help us engage in peer to peer fundraising, or sponsor a team. Our FirstGiving site is easy to use and allows you to quickly and conveniently share why you are involved in this event. We will give you instructions and fundraising tips once you're registered. While the overall goal of Women Build is to achieve significant female participation, we certainly welcome everyone to build. No matter how you support Women Build, know that you are making a difference for women, your community, and the world. Create your team of 8-12 volunteers. Contact Sara at 508-799-9259 ext. 107 or email sara.costello@habitatmwgw.org to reserve your day and receive instructions on how to get started fundraising. JOIN THE EVENT AS AN INDIVIDUAL! Don’t have a team? We will work with you to confirm an open date. 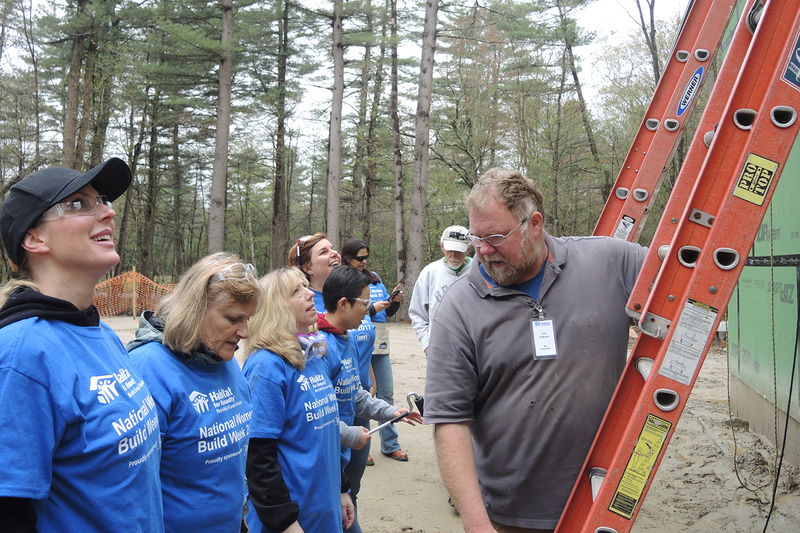 Contact Sara Costello at 508-799-9259 x107 or email sara.costello@habitatmwgw.org for information, and to get started on your fundraising efforts. Each participant is encouraged to raise $500 which helps build strength, stability, and self-reliance for local families. We will give you instructions and fundraising tips once you're registered. After you are registered, use your online fundraising page and social media to ask your friends and family to support your effort to empower women. Just 10 gifts of $50 from friends and family could get you there! NOT ABLE TO JOIN US FOR WOMEN BUILD 2019? You can still invest in the Women Build mission by clicking here. Make sure to designate your donation for Women Build 2019! Your contribution helps give women and families the opportunity to achieve strength, stability, and self-reliance. Through shelter, we empower. A big thank you to our Women Build Platinum Hammer Sponsor ($10,000)!